Brahmacharini Rema Devi of M.A. 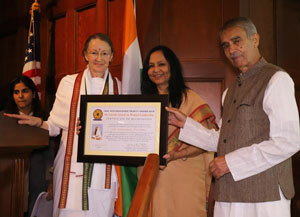 Center (USA) accepted the award on Amma’s behalf from ISOL’s Founder & Honorary Convener Dr. Sunita Singh Sengupta and ISOL Foundation’s Chairman, Dr. J.L. Raina. 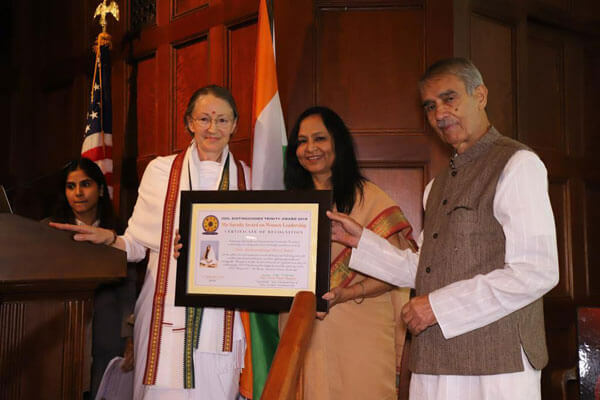 Amma then offered the award to all of the Embracing the World volunteers all over the world, who are selflessly and tirelessly working for the peaceful coexistence of human beings and nature.